Every routine receives an adjudication plaque. Top Ten get Crazy Bands, Top Three Ribbons. Every routine in the Top 10 receives a trophy. As a big part of our fantastic recognition program, our adjudications and overalls are presented at the end of each session. The awards are creatively redesigned each year. Our awards sessions begin with the Judeges Choice, followed by the announcement of the adjudications and plaque presentation for each routine. Award sessions culminate with the Top Ten (10) Overalls for each section in the session. 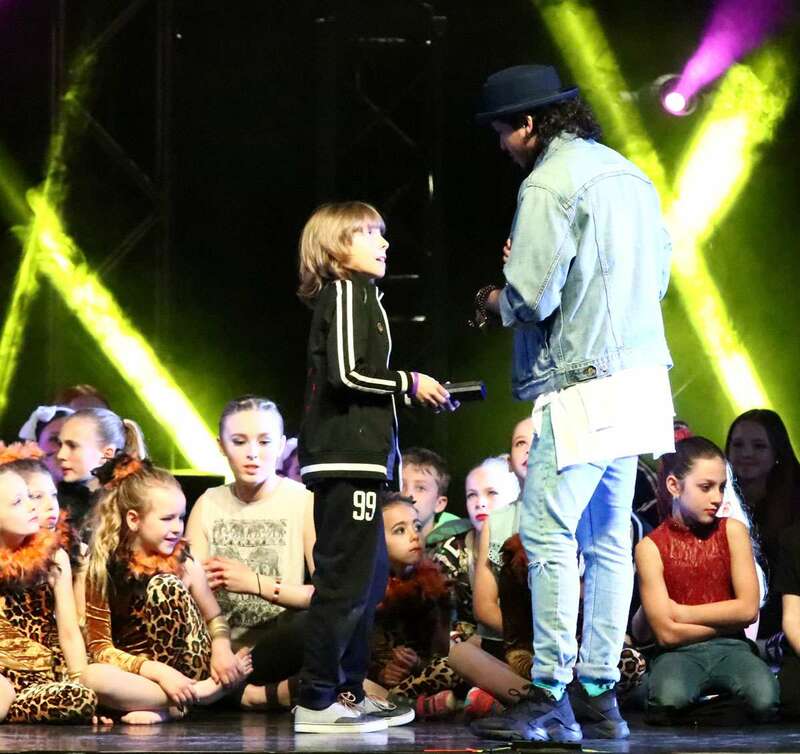 A section is the combination of the Age Group, Performance Division, and Dance Category (i.e. Petite Future Star Solos). Each routine receives a trophy and the dancers in the Top Ten (10) crazy bands, and the Top Three (3) ribbons. While we recognise the Top 10 routines with a trophy, we also present 1st, 2nd, and 3rd place ribbons to each dancer in the Top 3. These are not your ordinary ribbons, designed in-house these custom ribbons are kind of cool. Dancers in the Top 10 also receive one of Thunderstruck Canada's many Top 10 crazy bands. The Top 10 routines are recognised with a trophy. We also give out 1st, 2nd, and 3rd place ribbons to each dancer in the Top 3. These are not your ordinary ribbons, designed in-house these custom ribbons are kind of cool. Dancers in the Top 10 also receive one of Thunderstruck Canada's many Top 10 crazy bands. The Top 10 routines receive a trophy, one of 10 unique designs each year. If you want additional trophies, there will be some available at the event and, you can always order online. We present overalls when there are a minimum of three (3) routines in a division. We also use the rule of two, dropping the bottom two. See below to understand better. We will always announce all top placements for Lines. Three (3) routines/division - 1st place presented. Four (4) routines/division - 1st & 2nd place presented. Five (5) routines/division - 1st to 3rd place presented. Six (6) routines/division - 1st to 4th place presented. Seven (7) routines/division - 1st to 5th place presented. Eight (8) routines/division - 1st to 6th place presented. Nine (9) routines/division - 1st to 7th place presented. Ten (10) routines/division - 1st to 8th place presented. Eleven (11) routines/division - 1st to 9th place presented. Twelve (12) routines/division - 1st to 10th place presented. The scoring scales for each division are weighted so that the higher the performance division, the harder it is to achieve each level. Dancers in lower divisions have an opportunity to score in higher levels such has Lightning Gold and Platinum Thunder. And, it provides a challenge for dancers as they move through performance divisions throughout their competition years. Dancers that score a Lighting Gold and especially Platinum Thunder in a performance division should strongly consider moving up the following year. We have both a competitive (Super Star) and non-competitive (Shooting Star) division for dancers 20 years and up. This replaces the Rising Star, the previous name for the adult division. In these adult categories, Solos and Duo/Trios compete against each other as will Groups. We announce Overalls regardless of the number of entries. 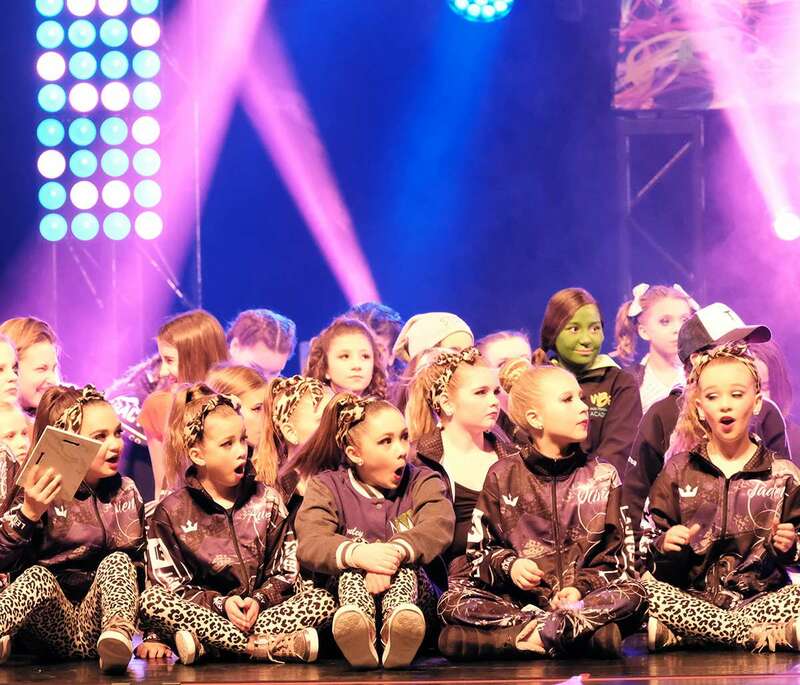 There is a highest overall score awarded in the Eye of The Storm for the Super Star division.